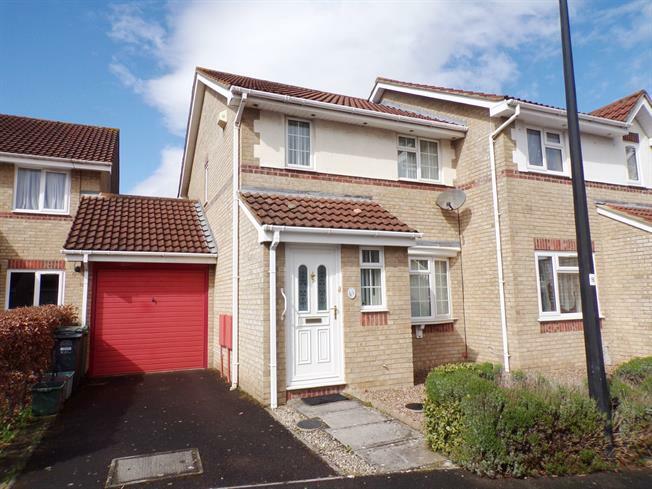 3 Bedroom Semi Detached House For Sale in Weston-super-Mare for Asking Price £199,950. This three bedroom semi detached house is offered to the market in good decorative order and has been extended to the rear to add a conservatory that overlooks the garden. The property offers a WC, large living room, kitchen/diner with a range of wall and base units and a conservatory. Upstairs there are two double bedrooms, a third single bedroom and a bathroom which has been recently refurbished to a fantastic standard. To the rear there is a deceptively large low maintenance garden and to the front there is a driveway offering parking for a number of cars as well as a single garage which can be accessed via either an up and over door or single door at the back.